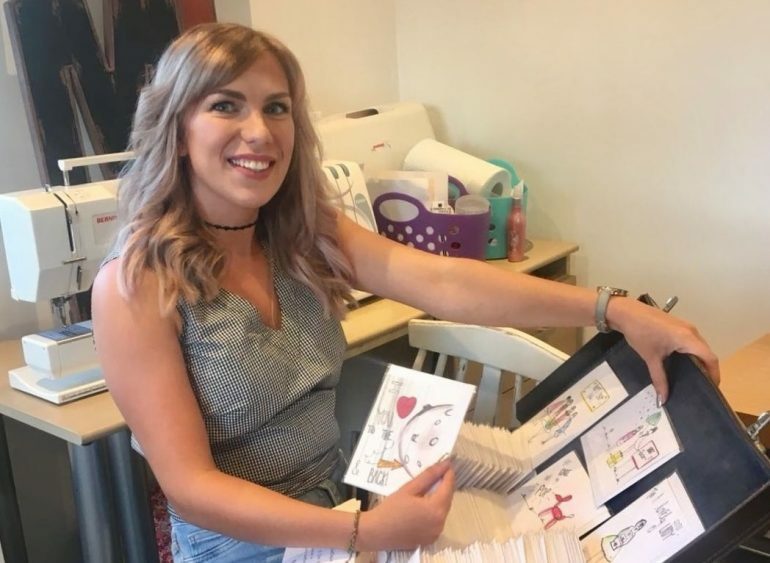 A young entrepreneur who underwent major brain surgery is crafting a colourful future for herself after launching two home-based businesses, thanks to support and guidance from a Sheffield City Region programme with a royal connection. Terri Bowden (27) from Stocksbridge, Sheffield is the owner of Bowden’s Unique Boutique, an online based personalised craft and textile business. Crafty from a young age and studying for a degree in Applied Arts, a subarachnoid brain haemorrhage in 2013 and invasive brain surgery in 2014, changed Terri’s life forever. Not one to sit and wallow, Terri wrote, illustrated and published a children’s book whilst recovering from surgery, which she now reads to children at local primary schools. With no income and bills to pay, Terri took a job in a local supermarket to find a way to make ends meet while studying part-time. Unable to unleash her creative flair as much as she would like, Terri gave up the job and channelled her creativity into self-employment, launching Bowden’s Unique Boutique from her home, where she produces a range of giftware. With a growing client base and her designs and products featuring in local boutiques and department stores, Terri felt she was ready to grow her business and called upon The Prince’s Trust, a delivery partner of the Sheffield City Region wide Launchpad programme, for help. Through The Prince’s Trust, Terri was able to access a £1,500 grant to push her business further and print her designs in bulk, ensuring her stock was always available. Terri’s business advisor also helped her to access a number of business workshops hosted by Launchpad, enabling her get to grips with in depth business details such as finance, legal issues, marketing, social media and recruitment, designed to help her attract new customers and lay the foundations for future business growth. Despite suffering from bad health and unable to attend workshops for the full day period, Terri still managed to develop her business knowledge and as a result of her newly acquired skills, she was able to secure a prestigious client – The Prince’s Trust itself. In December last year, Terri was chosen to design and create the menus, place cards and Thank You cards for The Prince’s Trust ‘One Million Young Lives’ dinner, held at Buckingham Palace and hosted by the Prince of Wales. Since then, she has been approached once again by The Prince’s Trust, to design and produce 250 personalised cards. If launching and growing one business wasn’t enough, Terri has also enrolled on a number of online beauty courses and now owns and manages Be-You-Tez, her home-based nail salon. With support from Launchpad, Terri has launched and expanded two businesses, updated her company websites, developed an online store and is planning to recruit her first employee in the near future – all whilst caring for her 1 year old child. Terri said:“When I was recuperating from brain surgery, drawing was a vital part of my recovery process. I made myself draw and design every day which helped me to overcome many of the mental and emotional issues I faced as my body began to repair itself. 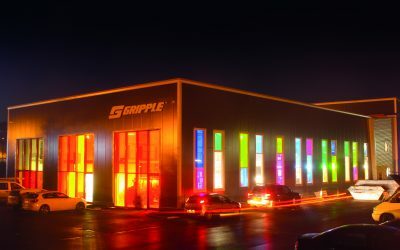 Greg Tipper, Business Advisor, Launchpad, said: “Terri is a fighter and the way she has overcome her health problems to not only launch one, but two successful businesses at the tender age of 27 is an inspiration to us all and I am proud to see that she is enjoying the success she so richly deserves.